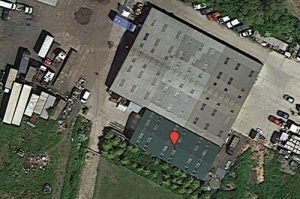 Easily locate our business premises by using the interactive Google Map on this web page. Fengate Manufacturing Limited is situated in the picturesque village of Foston, South Derbyshire (United Kingdom). The map below shows our location and is provided courtesy of Google Maps. You can set the map type using the controls in the top right hand corner. The controls to left allow you to move around the map or zoom in and out. You can also left click with your mouse and move the map around to location you wish.